Meet us at the SSN exhibition stand during the first week of the UNFCCC COP24, in Katowice, Poland. 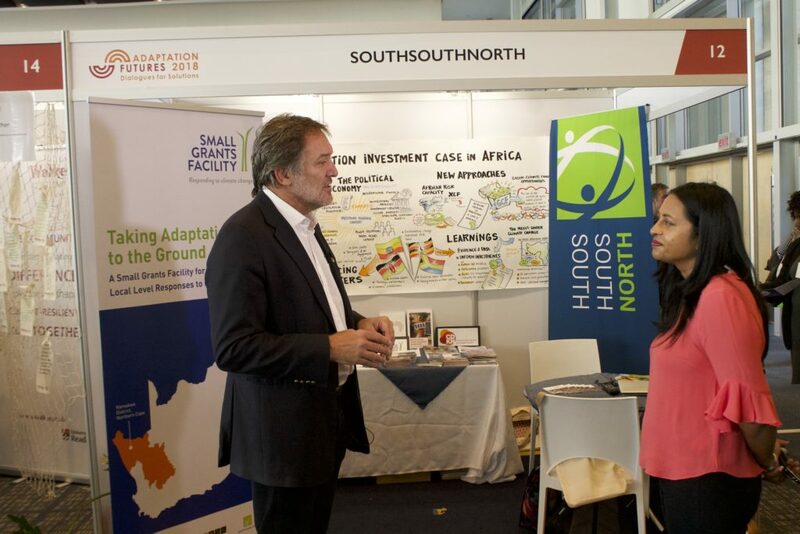 Our stand number 32 is under the name SouthSouthNorth and ICLEI -Local Governments for Sustainability, for 3-9 December 2018. Mairi Dupar, Technical Advisor, will share insights from CDKN’s first seven years, on how to frame, communicate and engage effectively with stakeholders on climate science, impacts and adaptation, and mitigation solutions. Most importantly, Mairi and the CDKN team are soliciting your feedback on CDKN’s ideas and your contributions to a work in progress: the climate communications guide for practitioners. This presentation and discussion is part of the Paris Committee for Capacity Building’s hub at COP24. Carl Wesselink will discuss developing new and supporting existing strategies for scaling up public and private sector financing for climate-smart development as part of a wider panel on the same topic. This is part of Development and Climate Days 2018. Carl Wesselink will reflect on the format and model of Communities of Practice (CoPs) to promote and support NDC implementation, through the lens of the African Mini-grids CoP under the AfLP, highlighting its activities and impacts, and opportunities for broader participation.